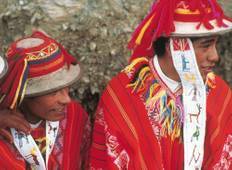 Find the best World Expeditions Peru trips. We've got 22 tours going to Peru, starting from just 3 days in length, and the longest tour is 23 days. The most popular month to go is May, which has the most number of tour departures. "We are a family of 3 including a 12-year old boy who wanted to hike portions of the..."
"This tour did not deliver the promised trek to Machu Picchu. 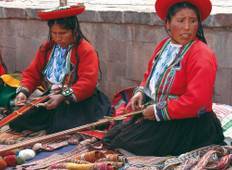 Instead they focused..."
"A great tour to see the highlights of Peru. Very well organised and great food. Our..."